Dr. Youyu Phillips : Some Photos of 2010 and Some Previous Photos! Some Photos of 2010 and Some Previous Photos! 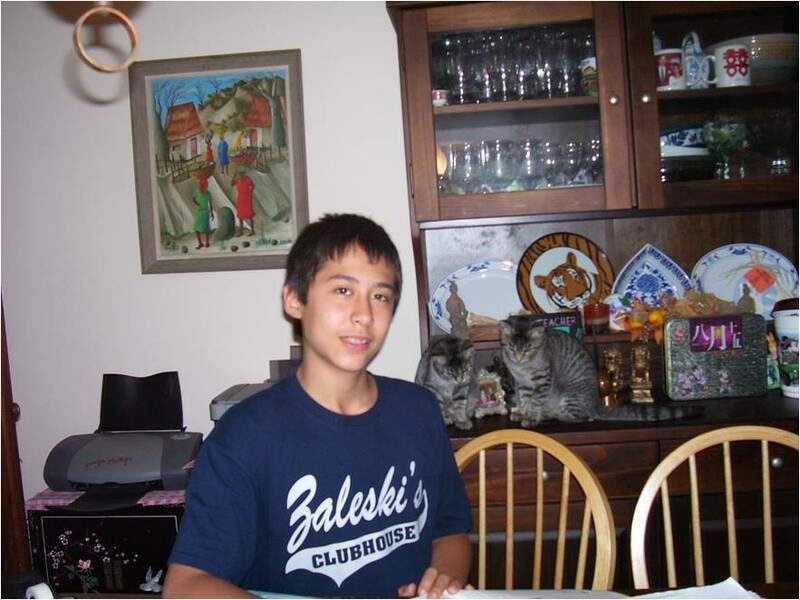 Below are the photos taken in 2010. 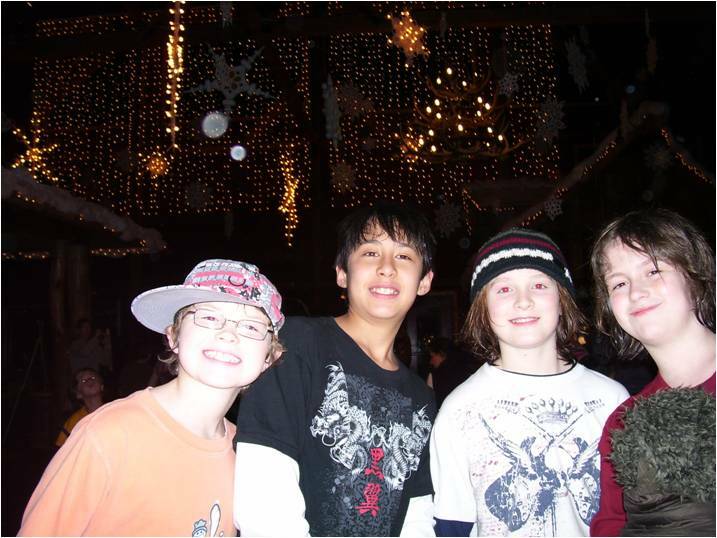 Duncan, Roy, St. John and Keenan on January 16. 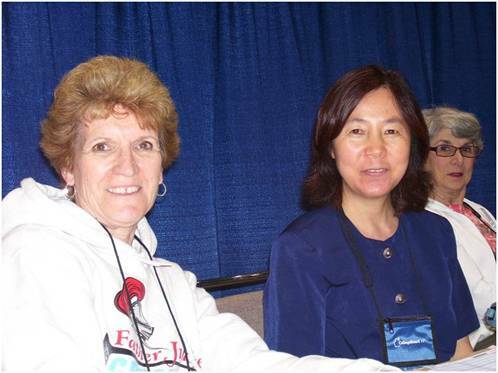 Maureen Leppard-Pedlow,Youyu Phillips and Georgia Weickel at AP Calculus Reading in Kansas City on June 15, 2010. Roy at Keystone College on June 18. 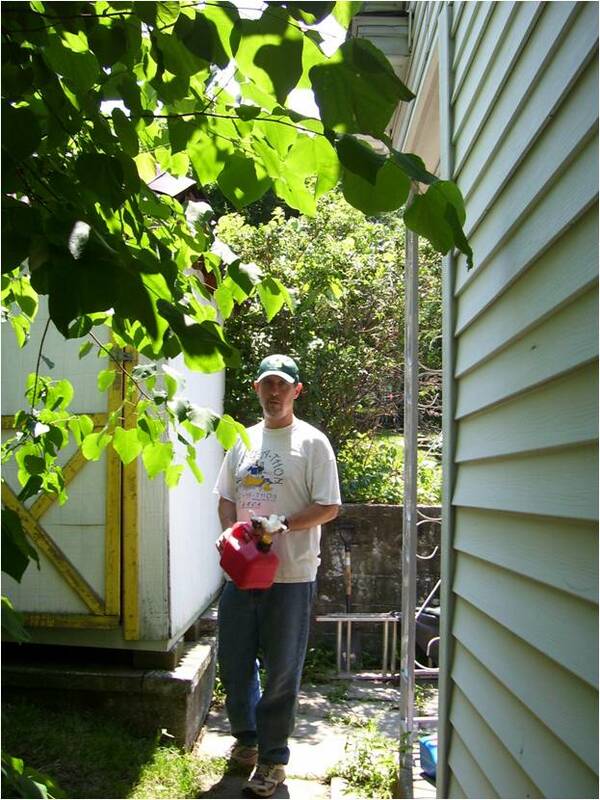 My husband Andrew at the side of our house on June 19, 2010. 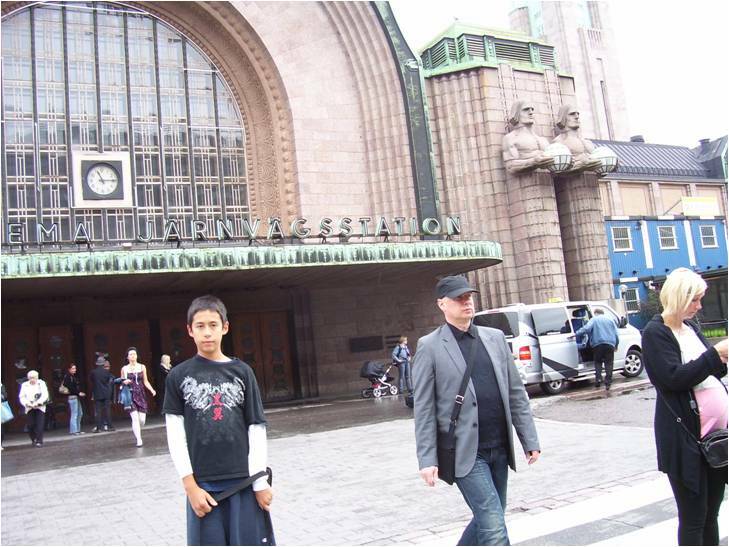 Roy at the train station in Helsinki, Finland on June 21, 2010. 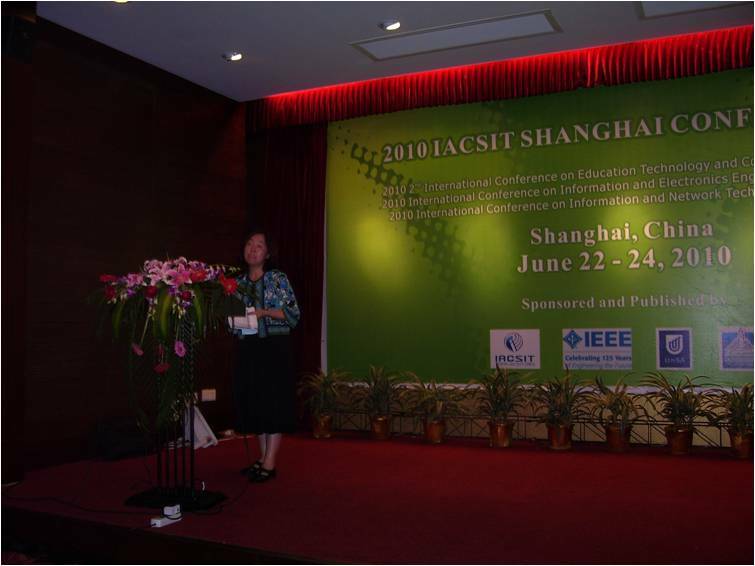 Presented Part 1 of my paper, The Use of Technology in Mathematics Education, and Served as Session 8 Chairperson at the 2010 Second International Conference on Education Technology and Computer, Shanghai, China, June 24, 2010. 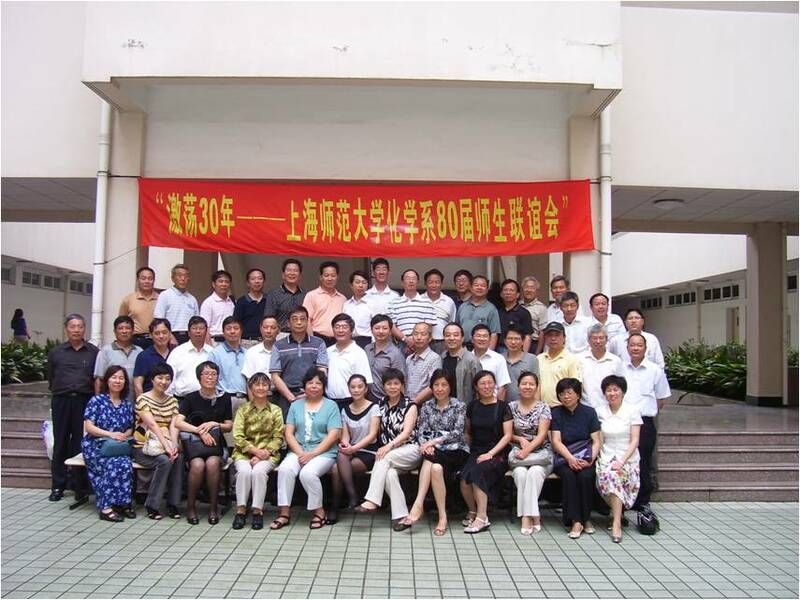 30 Years Reunion at Shanghai Normal University Fengxian Campus, June 26, 2010. Third Row: Zhang Baoxiong, Lu Hongyuan, Lu Xiaoming, Yu Xiaodong, Zhang Chengchun, Zhou Xiaofeng, Shen Hong, Huang Zhikang, Li Xiang, Wu Chuliang, Tang Gengxin, Zhu Guoqing, Gao Hongbin, Shi Quan, Shen Chang, Yin Tinghua, Dong Guozhong, Chen Yongliang. 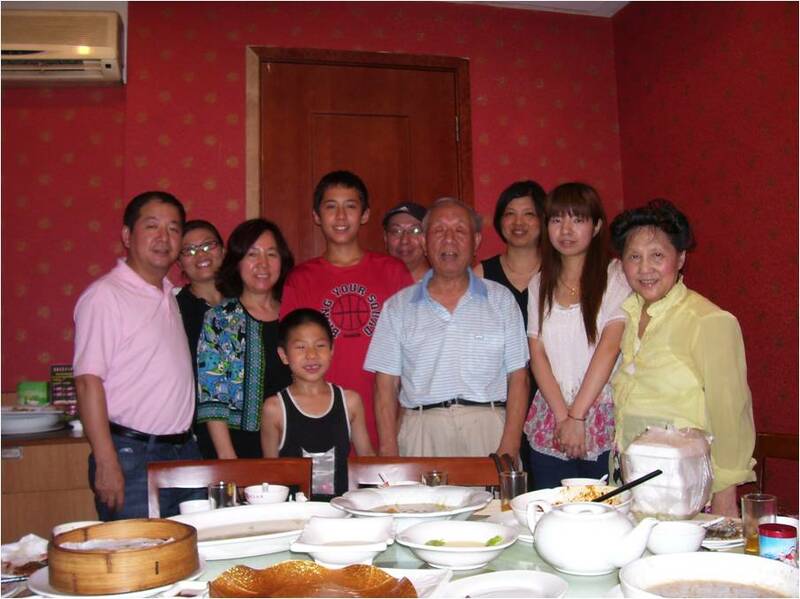 Family Reunion in Sonjiang District of Shanghai on July 3. From Left to Right: You Yong, Chen Mei, Youyu, You Zhengyang, Roy, You Yi, You Haozhang, Fan Jianping, You Jingya and Zhu Lingyan. 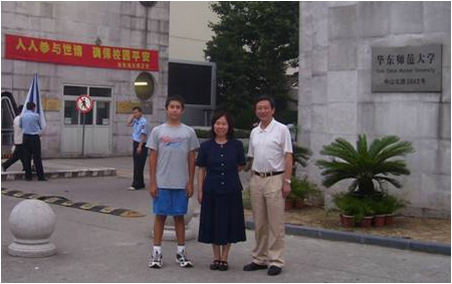 Roy, Youyu and Mr. Xu at East China Normal University on July 15, 2010. 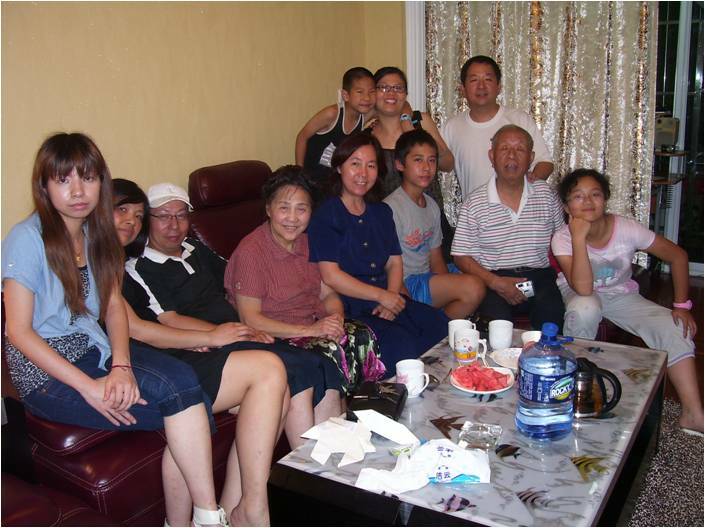 With Family members as previous phot plus Chen Yiling at my brother's home. 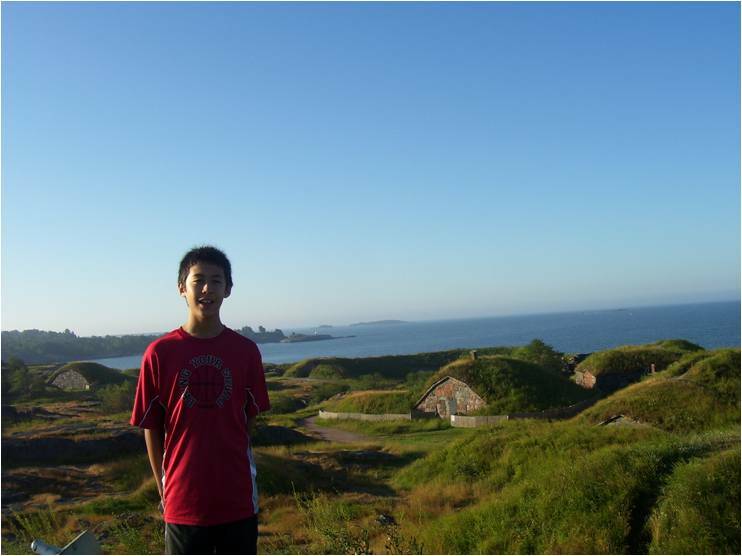 Roy at the Suomenlinna Sea Fortress in Helsinki, Finland on July 20. 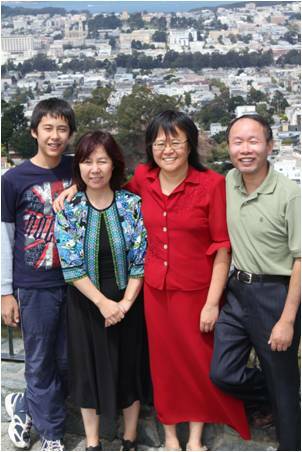 Roy, Youyu, Jennifer and Jimmy in San Francisco on August 14. 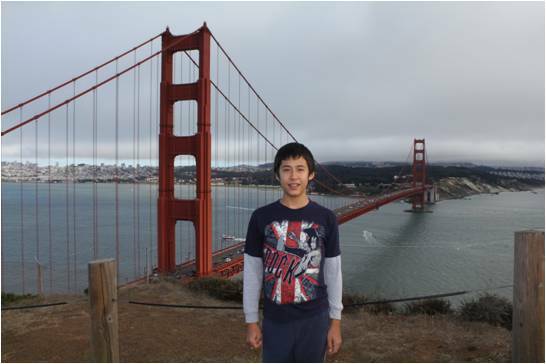 Roy at the Golden Gate Bridge in San Franciscon on August 14. Roy, Conrad, Zhou Yi and Queenie in San Jose on August 16. 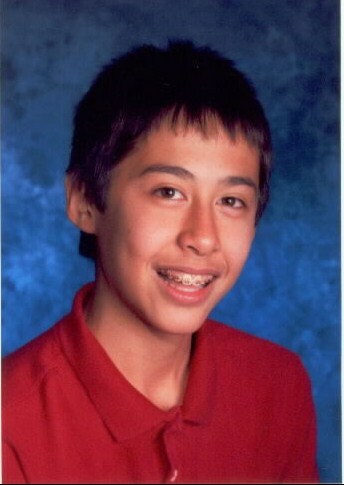 Roy's School Photo in October. Roy with our newly adopted twin kittens JJ and DD in November. 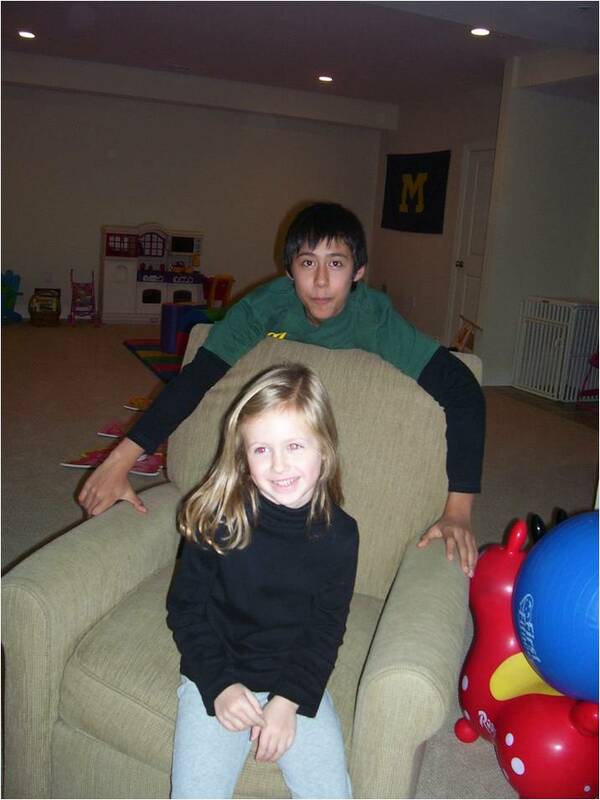 Roy with cousin Maia on Thanksgiving (November November 25, 2010). 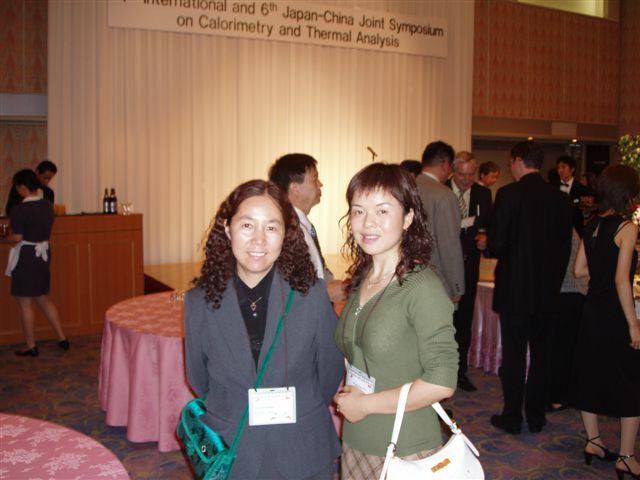 The following photos were taken at the 4th International and 6th Japan-China Joint Symposium on Calorimetry and Thermal Analysis (CATS 2005) in Fukuoka, Japan. I presented my paper "Hydro Thermal and Mechanical Energies with Their Environmental Impacts" at this symposium. Reception (Banquet) at Fukuoka Recent Hotel on October 7, 2005. At Mt. Aso at the end of the symposium, October 8, 2005. Left: Takayoshi Kimura, Chairman of the Symposium, Professor from Kinki University. Right: Professor Qiyuan Chen from Central South University. 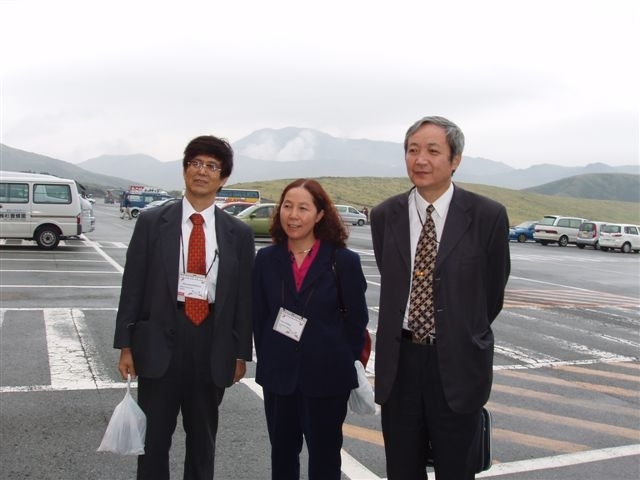 Symposium break at Kyushu University on October 7, 2005. Left: Toshimasa Hashimoto, Symposium Section Co-Chair, Professor from Tokyo Institute of Technology. 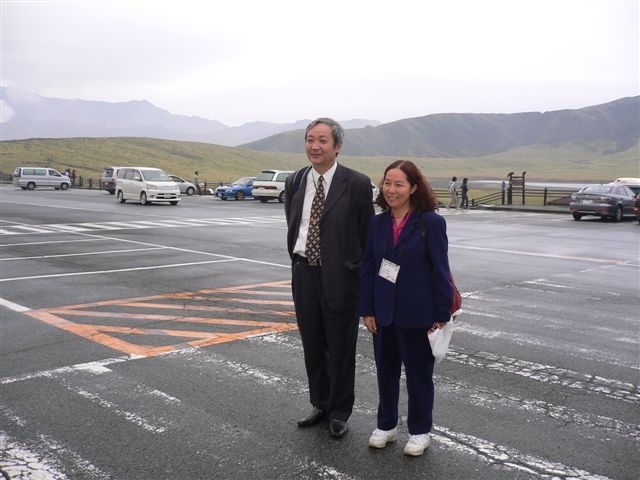 Right: Dr. Tatsuko Hatakeyama, President of Lignocel Research Ltd.
At Mt. 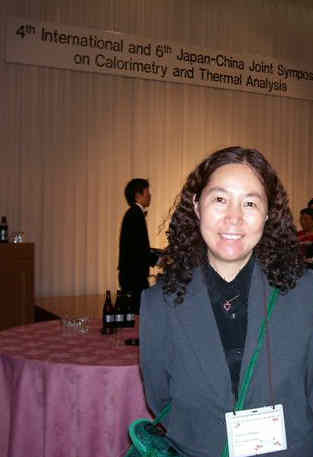 Aso at the end of the symposium, October 8, 2005. Professor Qiyuan Chen and I were the only two former Chinese formal delegates attended 1st CATS in 1986 and participating at CATS-2005. Reception (Banquet) at Fukuoka Recent Hotel on October 7, 2005. From Left to Right: Professor Hatsumi Aki (Fukuoka University), Professor Katsuhide Terada (Toho University), Professor Haike Yan (Institute of the Chinese Academy of Science), Professor Zhiwei Yu (Tsinghua University), Professor Toshimasa Hashimoto (Tokyo Institute of Technology), Ms. Ceelia Leong (Graduate, Tokyo Institute of Technology, Hashimoto lab), Professor Takayoshi Kimura (Kinki University), Youyu, Professor M. Kodama (Okayama University of Science), Weihong Du (Renmin University), Mr. Kaoru Sudo (Undergraduate, Tokyo Institute of Technology, Hashimoto lab). 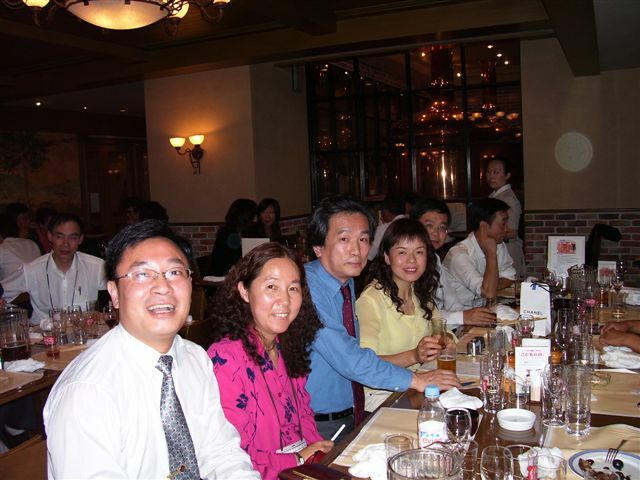 At an informal reception (Farewell) on October 8, 2005. Middle: Professor Toshimasa Hashimoto. Right: Shao-fen Wang, Associate Professor from Changsha University of Science and Technology. Backgroud left: Professor Qiyuan Chen. Background right: Professor Zhiwu Yu from Tsinghua University. At the Reception (Banquet) on October 7. 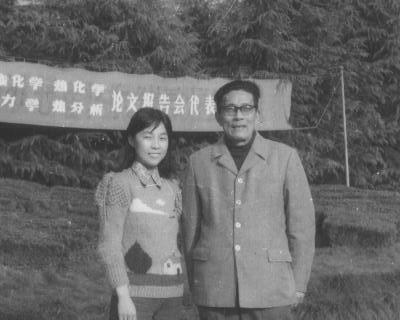 Right: Shao-fen Wang. 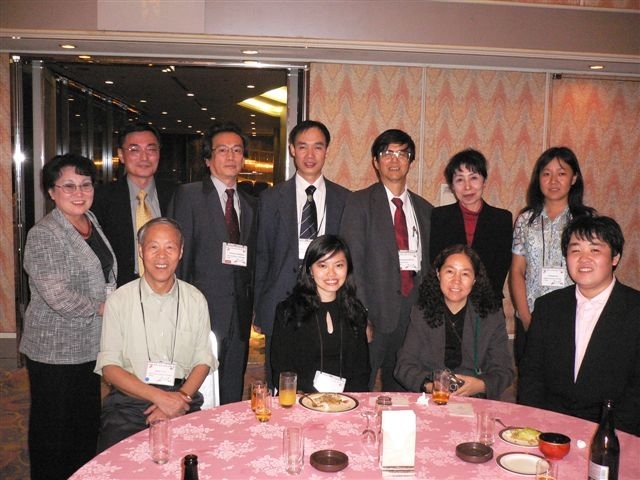 At an informal reception (Farewell) on October 8, 2005. 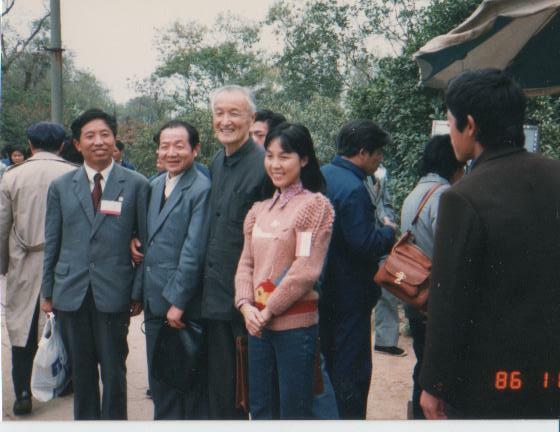 From left to right: Lixian Sun, Youyu, Toshimasa Hashimoto, Shao-fen Wang, Zhongliang Xiao, DaowuYang. Background left: Zhiwu Yu. It was nice seeing Professors Kimura, Toshimasa, Hatakeyama and Chen whom I met at the 1st China-Japan Joint Symposium on Calorimetry and Thermal Analysis (CATS 1986) at ZheJiang University in Hangzhou. I presented my paper "A New Isothermal Calorimeter" at that symposium. The following photos were taken then. 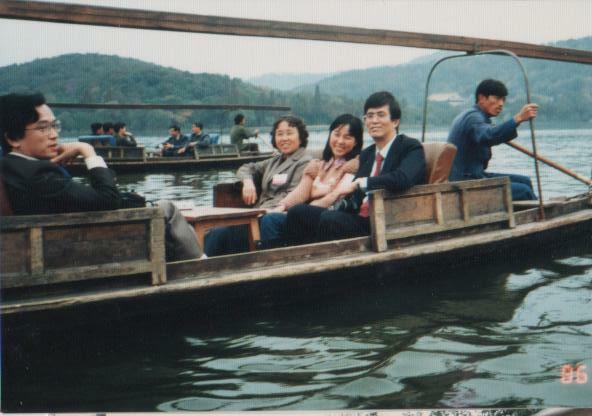 At West Lake at the end of the symposium on November 6, 1986. Left: Takayoshi Kimura. 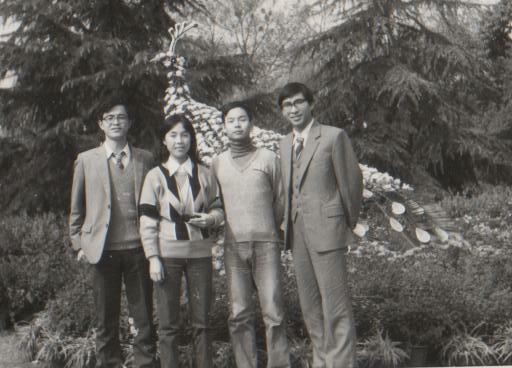 At the symposium site-ZheJiang University on November 5, 1986. Left: Chen? Right: Toshimasa Hashimoto. 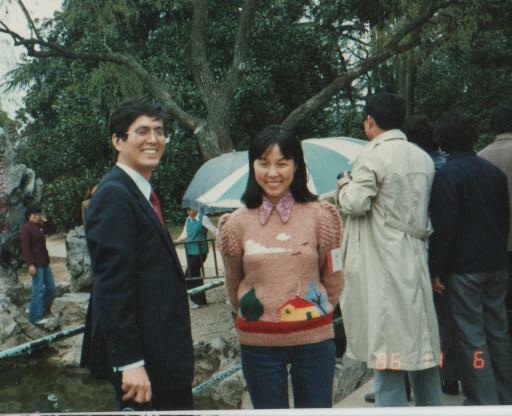 At West Lake at the end of the symposium on November 6, 1986. From left to right: Hatakeyama?, Chen? and Youyu. 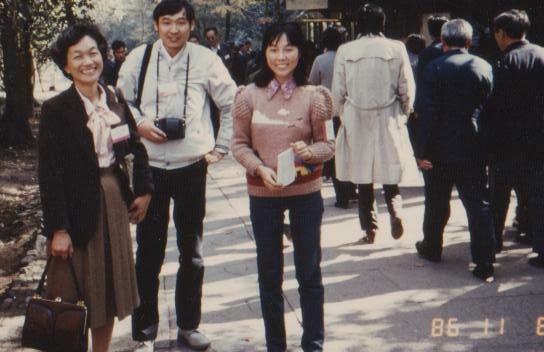 At the symposium site-ZheJiang University on November 6, 1986. 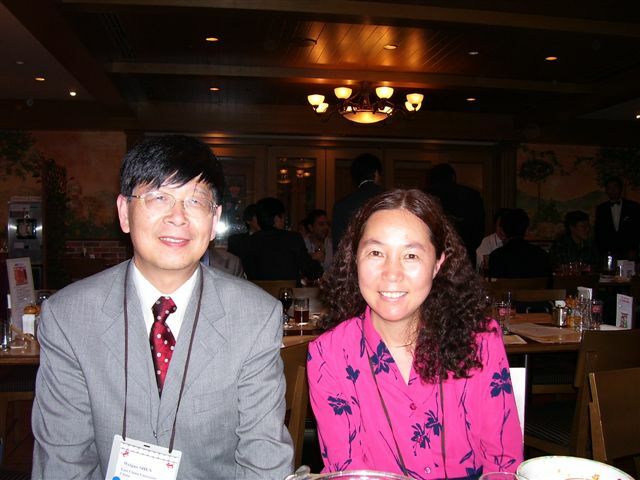 Right: Professor Jing Zhu from FuDan University. At West Lake at the end of the symposium on November 6, 1986. 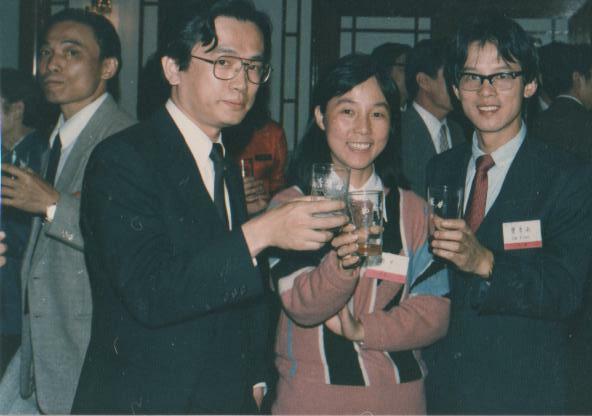 From left to right: Toshimasa Hashimoto, Jinxiang Liu, Youyu and Takayoshi Kimura. At the reception on November 5, 1986. Left: Toshimasa Hashimoto. Right: Jinan Cao. 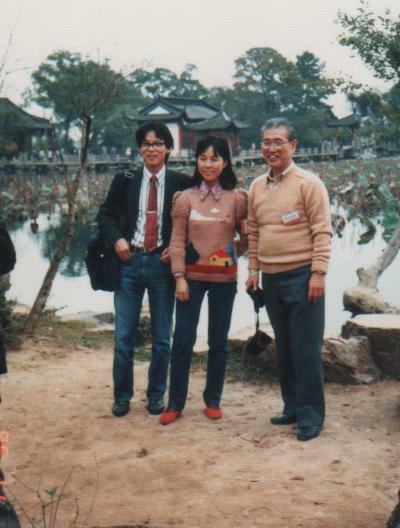 At West Lake at the end of the symposium on November 6, 1986. 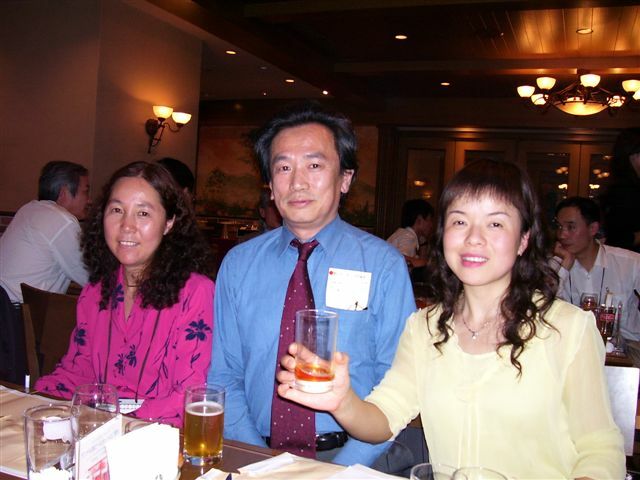 From left to right: ?, ?, Professor Wenxing Yan of ZheJiang University, and Youyu. 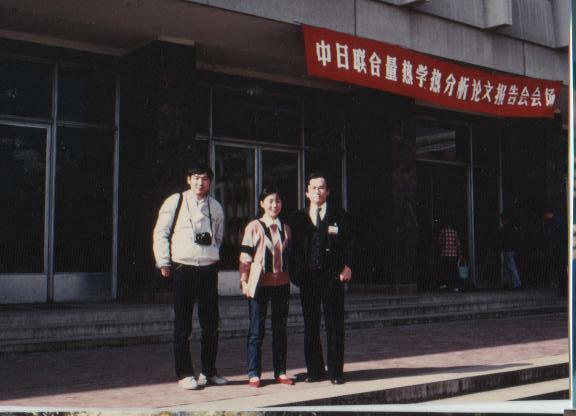 At the symposium site-Zhejiang University on November 5, 1986. 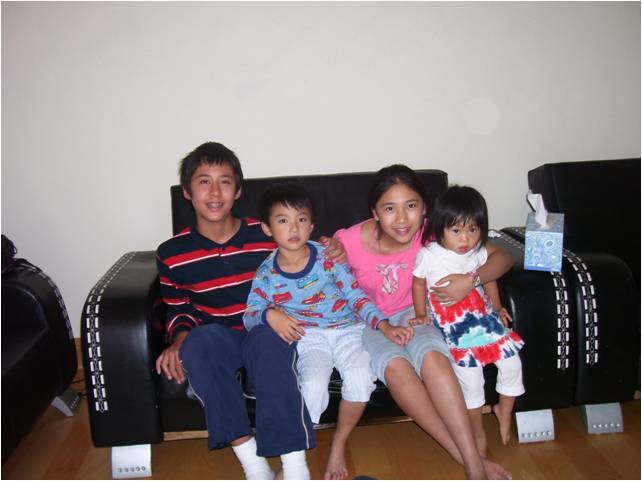 From left to right: Yingnian Xu, Youyu, Junyang Zhao and Ruqiang Ye. At West Lake at the end of the symposium on November 6, 1986. 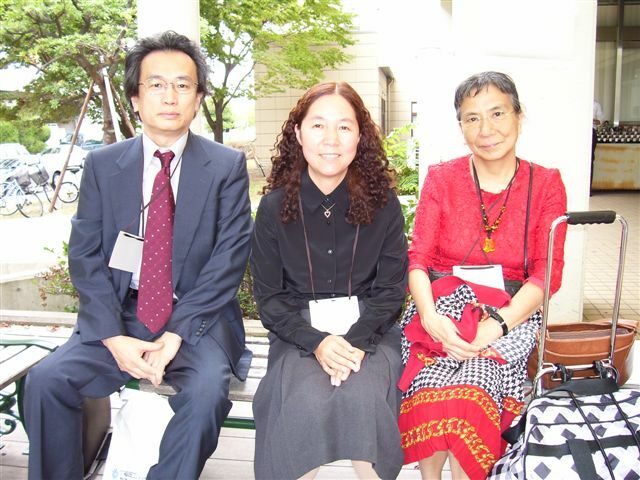 From left to right: Jinan Cao, Youyu, and Professor Teruyuki Fujita from Tokyo University. This page was originally posted: 9/18/00; 10:54:21 AM.